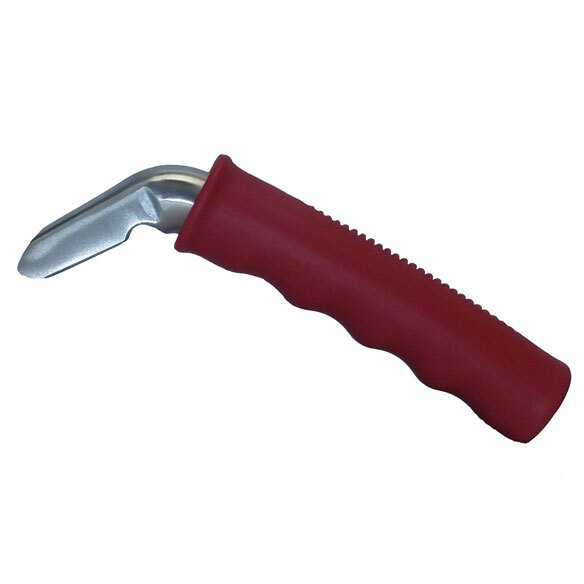 Helping you enter and exit any car safely, this sturdy auto helper cane fits securely into passenger or driver door—providing extra support so you can sit or stand without risking a fall. 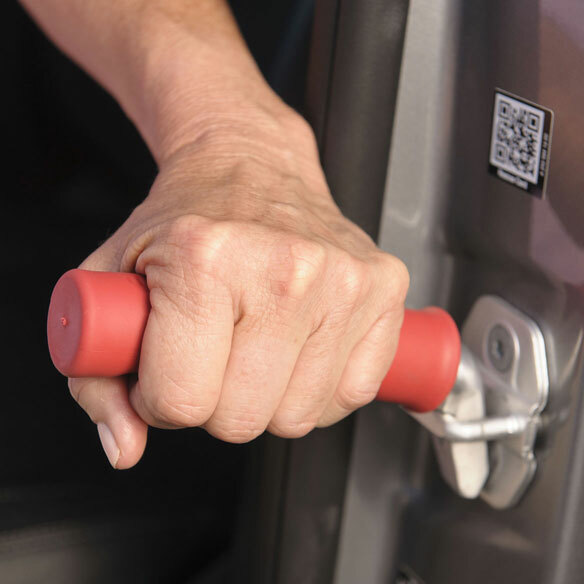 Designed to fit most any type vehicle, the solid metal car door cane features universal fit and no-slip rubber ergonomic grip. Helps you enjoy independence for everyday errands, lunch dates, appointments and more. Car cane stores conveniently in your glovebox when not in use. Handle is 5"L x 1 1/4"dia. ; hook is 2 1/2"L.
Bought this as an Christmas gift for a friend with a bad hip. Really helps getting out of car. Bought one for my aunt years ago. I've been looking for this one for me. Kneee surgery soon and I'm tired of having trouble getting out of the car. Hers was marvelous. Wanted the same for me. My 92 year old mom needs help getting out of the car and so I bought one previously. She loves it. It rally worked well for mom so now I’m buying 2 more. One to keep In my car and one for her to keep with her so can use it when necessary. Help my friend get from his wheelchair into car. It will be handy/convenient - easy to use at any door in the car - any help seniors can get is most welcome. this is perfect to help my husband get into and out of the car with greater ease. Easy getting out of car for anyone who needs help . ingress with gravity, egress needs help!! I drive a Dodge Journey and use a step cane to boost into the seat. This helps me into the car. I am 76 and it is getting difficult for me to get out of the car. Both of my parents are aging and ailing. They find it difficult to transfer from their wheelchairs to the car and back again. This will give them some added leverage and support for these transfers. needed one for wife car. to help me get into my car passenger side. I think it will help. Tried to get into transport van...really hard as I use a wheelchair...not many places to grab on, to get me onto seat. This would have been a great help. Husband needs assistance getting into the car. Getting out of a vehicle is difficult for me. I need something to make it easier. to help someone with hip problems get out the car. Help to stand out of car. We had this item before, but lost it. I'm getting it again for my husband because he raved about how much it helped him get out of his car. Worth every penny. Will help getting people in and out of cars safely. Need help getting out of car. It was on sale and I hope it wiil do the job. Helps getting a senior into the car. I need help getting out of my car. Hello, will this fit a Mercedes 300 sedan? Thanks very much. BEST ANSWER: Thank you for your question. This will fit any standard size car. We hope this information will be of help to you.